Not technically a vehicle, according to current laws. It’s a long overdue revamp for how Nova Scotians safely use our roads. 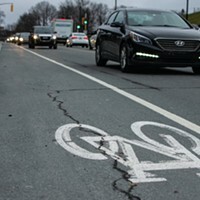 The province has put out an open call for public input on a new Traffic Safety Act to replace the century-old Motor Vehicle Act. The MVA was created in 1907 when the only vehicles on the roads were Oldsmobiles and Ford Model T’s. Despite its many overhauls and amendments, it’s remained cranky and out-of-touch with the reality of our modern streets. 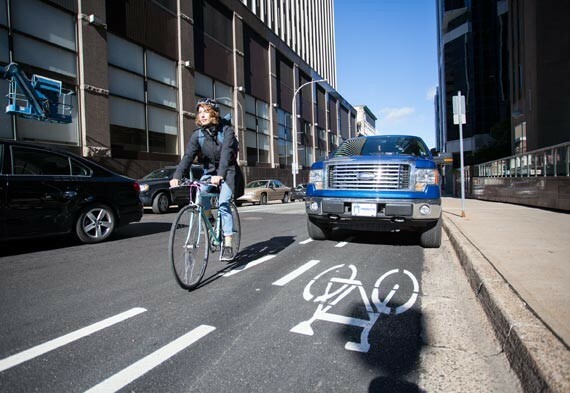 Kelsey Lane, executive director of the Halifax Cycling Coalition, says the most important change she’d like to see in the new act is the inclusion and recognition of vulnerable road users: People who walk, bike or use a mobility device. Under the MVA, these vulnerable road users have no legal protection. If a car collides with you while you’re riding your bike, there is a good chance the car driver won’t even be issued a ticket, explains Lane. 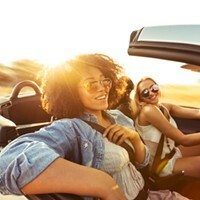 There are some regulatory changes she’d like to see made, too, such as prohibiting certain driving maneuvers that are a danger to cyclists, like the “right hook” and the “left cross.” This happens when vehicles turn right or left without yielding to a cyclist that already has the right of way, often cutting them off or colliding with them. Kyle MacKay, a Halifax cyclist, was hit in an intersection by a driver last November in just such an incident. The case eventually got thrown out, due to the fact that a bicycle isn’t considered a vehicle under the MVA. Lane would also like to see legislation for new infrastructure, such as bike lanes downtown and safer access to the Macdonald Bridge. “What we’re encountering right now with such an outdated act is that the municipalities really want to move forward on it, but the legislation isn’t there to back them up,” she says. Councillor Lindell Smith, meanwhile, is hoping speed limits in residential areas will be lowered. It’s one of the biggest complaints Smith says he hears from constituents. “Currently, you can go 50 km/h in a residential area unless it’s a school zone and looking at the data, at 50 [km/h] you have a very very high risk of being injured,” he says. In 2017, Halifax Regional Council asked the province to consider lowering speed limits, but the effort stalled. Smith hopes the new act will reconsider that motion. “Just lowering the speed limit is not the fix. We need to also as a city have better rules around street calming, which we are working on,” he says. A traffic calming administrative order was passed by council in 2015 to make residential neighbourhoods safer for non-drivers by implementing things like speed bumps and traffic circles to slow down motorists. But top priority for Department of Transportation director of special projects Paul Arsenault is making the new Traffic Safety Act easier to read. Sections in the current Motor Vehicle Act are all over the place with little cohesiveness. It’s also 213 pages long. Arsenault hopes to see the new Act become more accessible to government officials and to the public by restructuring it and using plainer language. The province will remain open to feedback from the public until June 8. Better buckle up for that summer road trip.